Do you hold fascination for the mysterious Norse Runes? Coming soon, we will begin an in depth online course that will be empowering and mystical in nature. You will learn what each rune means, its associated mythology and practical applications to modern life. 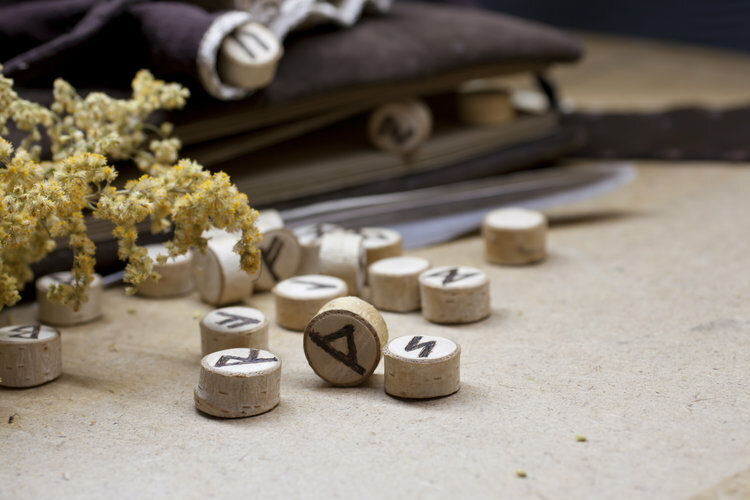 You will be able to interpret their symbols and your learning will be enhanced by pairing each rune with a unique essential oil blend, adding the wonderful spirits of the plant kingdom to heighten your understanding. Come away after the program able to interpret rune readings for yourself and others and use them to create positive change in your life and the world. Additionally, you will learn how to do a shamanic journey, a singular healing modality that allows us access to the hidden meaning of each rune. What are the Norse Runes? The Elder Futhark is an ancient alphabet used by the Old Norse and Viking Age people that emerged around the 1st Century. There are 24 letters with a literal meaning and also a more lengthy symbolic representation that mirrors the typical hero's journey or mythic quest for wholeness and soulful life experience. A shamanic journey is a specific healing modality in which a shaman enters into a trancelike state via drumming or other rhythmic musical track. In this altered state, he or she observes and interacts with 'soul parts' that have been lost or stuck due to traumatic events in a person's life. Journeys, also called Soul Retrievals, are very effective at restoring vitality, life force and helping a person move through processes of grief, anger or other turmoil. Combining runes with journeying adds a new dimension and powerful catalyst for positive change.